Here, a romantic 3-acre property nestled among the citrus orchards, east end of Ojai, below the sometimes snow-covered peak of Topa Topa. 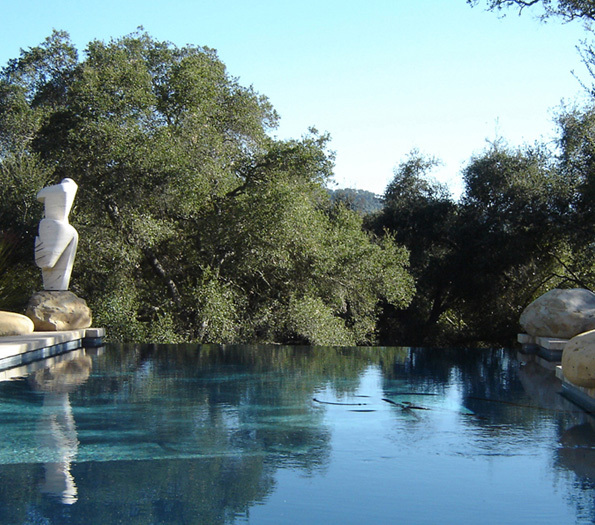 This dreamy infinity pool rests between ancient boulders and visually extends into the borrowed landscape beyond. 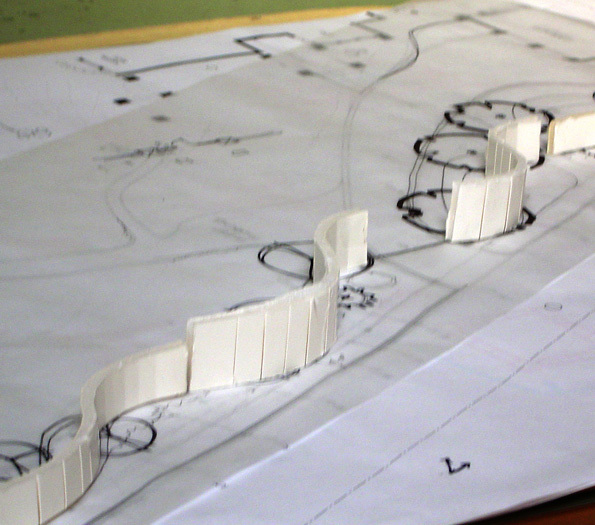 We designed the undulating wall to provide privacy from the street. 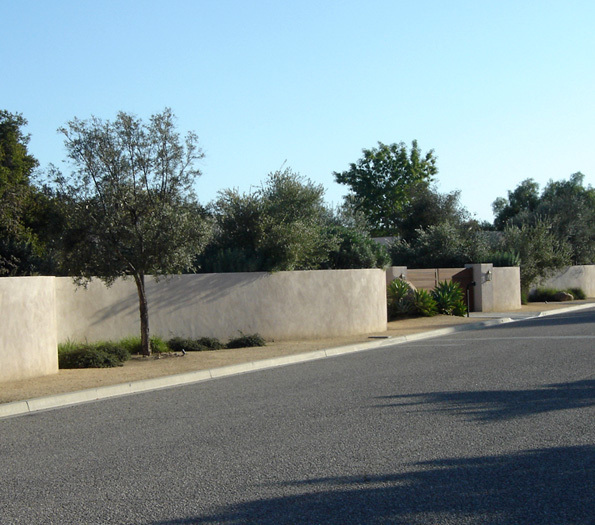 Not only a pleasing design element, but it allowed us to respectfully build around the existing landforms, boulders, and established olive and oak trees. Along with the gate and entry lights, these components speak to the modern architecture within. 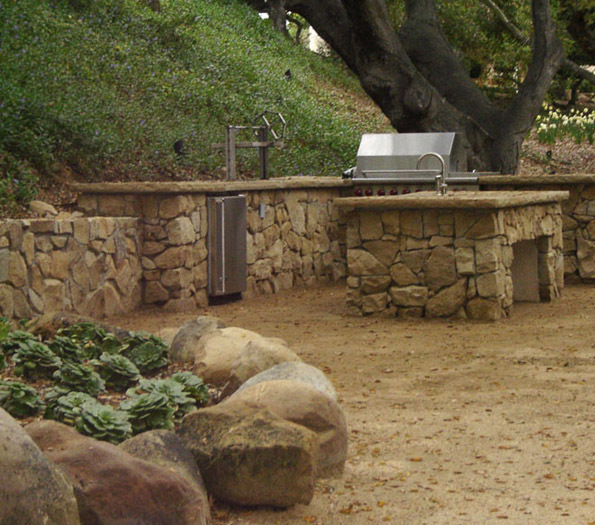 Our client is passionate for entertaining al fresco, so we created an outdoor dance pavilion, fully equipped outdoor chef’s kitchen with a Viking grill, and butlers bar. The opportunity was to maintain the present inherent natural beauty while creating a defined unspoiled living space, as though it were always this way. 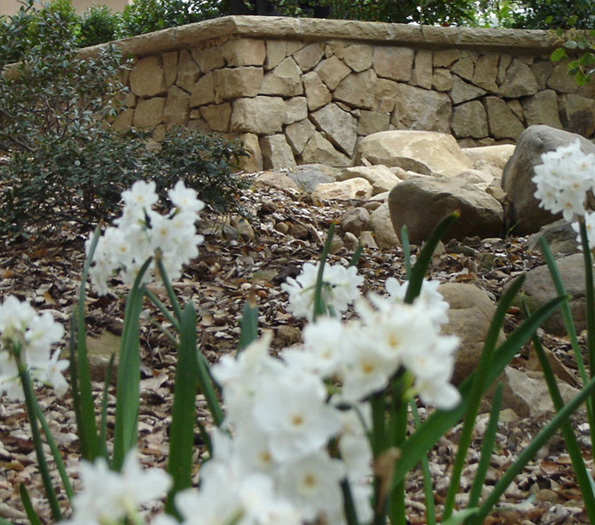 Locally-harvested stone walls provide a seamless connection to the natural landscape. Seasonal bulbs of dazzling colors are perfect companions to these native oaks.